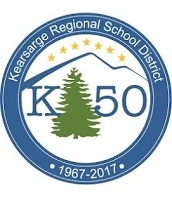 E3NE is pleased to announce that we have reached an arrangement with Kearsarge Regional High School in North Sutton, N.H. to run Ethics & Economics Challenge there as an after-school extracurricular and extended learning opportunity in the 2018-19 academic year. As in our current schools, Merrimack Valley H.S. and The Founders Academy, both E3NE president and Dartmouth lecturer Jason Sorens and E3NE teacher, radio personality, and novelist Gardner Goldsmith will serve as instructors and discussion leaders. Bringing in a third school will also allow E3NE to expand our college scholarship competition to encompass a second, statewide level. As our programs continue in our current two schools, we also look forward to a bright future!